Bicycle Association's Phillip Darnton responds to criticism that the bike industry doesn't give enough support to advocacy. The UK cycle industry is doing a lot more for bicycle advocacy than Danny Williams realises. I find that facts are always useful in these sort of debates but, first, let’s identify the two main criticisms levelled against the industry. One, the industry doesn’t do enough lobbying and the industry doesn’t fund initiatives to promote more cycling, and gives “precious little support”. Two, the industry has a “moral responsibility” to support initiatives, such as segregated cycle lanes. There are a great many requirements for the creation of a safe cycling environment for current non-cyclists. These include, not in order of priority, appropriate and safe cycle parking; training; convenient routes, signage and way finding; better motorist training; advance right signals at junctions; safer junction layouts; special training and equipment for HGVs; and 20 mph speed limits in urban areas. There is no one “magic bullet” that will create a nation of everyday cyclists – certainly not segregated lanes here and there. When people say “it’s too dangerous to cycle” and claim they would cycle if only there was a segregated cycle network this may, in fact, be a neat way of side-stepping the issue, and effectively saying “I’ll never cycle” without actually saying it. Does the industry spend too much time selling bikes (that’s their job!) and not enough time or money on cycle advocacy? I’d say not. It’s not true there is “no support for campaigning”; no engagement “in serious funding and policy discussions”; and that the “job is left to poorly funded campaign organisations”. British Cycling, which is funded both by the Government and by Sky, making them one of the richest cycling groups, is applauded by Mr Williams, and rightly so. Likewise Sustrans, whose expertise derives from their long design and engineering history, is a charity with double digit million pounds support each year from the DfT and the national lottery. They both do tremendous work, nationally and locally, for infrastructure, lobbying and training and promotion, and are funded to do so. The Bicycle Association and the ACT on behalf of all their members, in their turn contribute to the lobbying work of the UK Cycling Alliance; chair the Transport Minister’s Cycle Rail working Group; participate in the National Cycle Forum, and play a key role in the DfT’s High level Strategy Group. All of this lobby and policy advice work is done entirely pro bono, with no third-party funding at all. Turning to the criticism that the industry doesn’t fund cycling initiatives, Mr Williams ought to know that, over the last nine years, manufacturers, distributors, wholesalers and independent retailers have worked together, on an entirely voluntary basis, to donate funds to Bike Hub, a scheme designed precisely to “safeguard the future of cycling”. 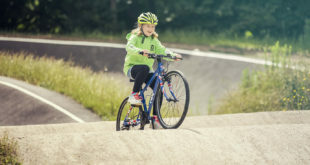 So far it has generated over £3.5 million, every penny of which goes directly to national projects to encourage young people to take up cycling. Those youngsters are the future of the industry. Without their learning, and loving, to ride bikes, in 20 years’ time, they will become a generation lost to cycling. 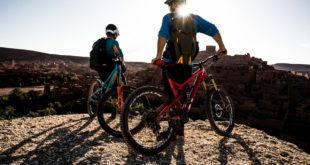 With cycling trips still stuck at about 1.5 percent of all journeys, it won’t take much for the inexorable historic decline in cycling to dwindle to next-to-nothing. That’s precisely why the industry formed the Bike Hub levy scheme in 2004, and that’s why all the major brands, wholesalers and some 800+ retailers continue to support it. The great generosity of all those who give to Bike Hub is precisely that they do it for the benefit of the world of cycling, not for themselves as some sort of publicly advertised benevolence. • Funded the publication of the “Get Britain Cycling” report for the All Party Parliamentary Cycling Group. • Hosted the reception at the House of Commons to launch it. • Funded almost 50 percent of Bike Week. • Part-sponsored the London Cycle Campaign’s Cycle Awards. • Funds a Parliamentary Worker to support the All Party Parliamentary Cycling Group. • Contributed to the development of a smartphone app to inform cyclists when and how they can take a bike on any UK train. • Continued to develop the Bike Hub app – a free cycle satnav that helps get people cycling, and which can route them on bike paths should they so choose. • Granting £250,000 p.a. to Bike It – which the Bike Hub levy seedfunded in 2004 with four full-time schools’ officers, working each with 10 primary schools to provide all the things – especially parking and training – that a school needs to get kids cycling. The scheme now has over 120 full-time officers, ramping up the interest in cycling in over 1,500 schools each year. 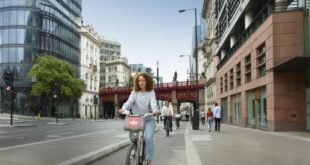 The bike industry’s first responsibility must be to ensure employment for the 23,000 people directly involved in a ‘cycling economy’ which generates over £500 million in wages and £100 million in taxes, and to work to secure and grow their businesses. Only in that way, can it ensure that it is able to continue to give £400,000 p.a. and a great deal of time and effort, free, to help support those whose first responsibility it is to invest those taxes for the benefit of cycling, and the wider community. Could the industry do more? Of course it could! Could bike shops do more to support their local campaign groups? Of course they could! But this doesn’t mean to say bicycle suppliers and bike shops are inactive in this essential area, far from it. Bicycle companies and bike shops are very active in getting new people cycling. In fact, both suppliers and retailers rely on this for their continued existence.